At a village meeting held in the Mt Royal community on Thursday, 19 March 2015, the community members indicated their concerns and needs to the Parliamentary Representative, Hon. Elvin Nimrod. 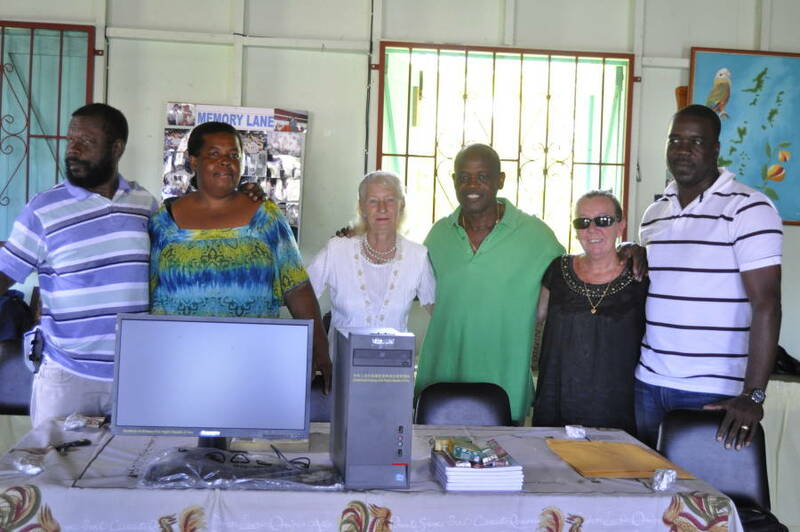 One of their urgent needs was a desktop computer for the purpose of assisting students in the community with their educational researches at the Mt Royal Community Centre in Carriacou. Evening classes are being held for students who require extra academic assistance and for preparations for exams and assignments. Within 48 hours, Deputy Prime Minister, Minister of Labour, Legal Affairs, Carriacou and Petite Martinique Affairs and Local Government, Hon. 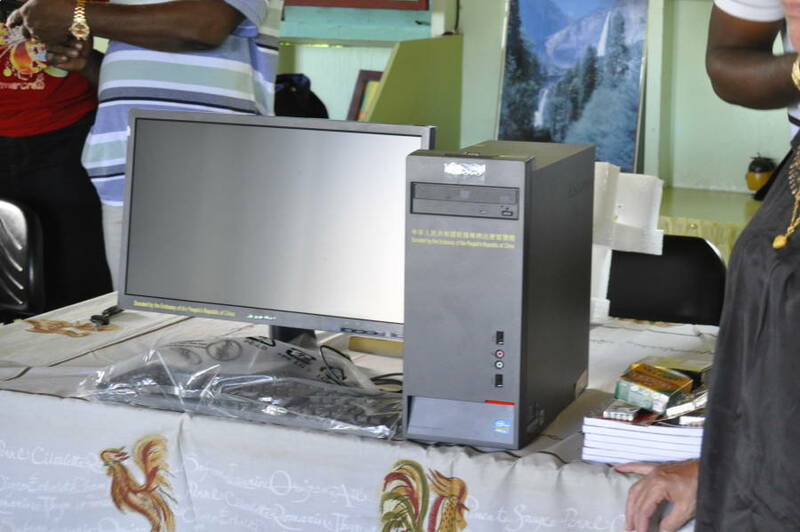 Elvin Nimrod, fulfilled his promise upon their request for a desktop computer. 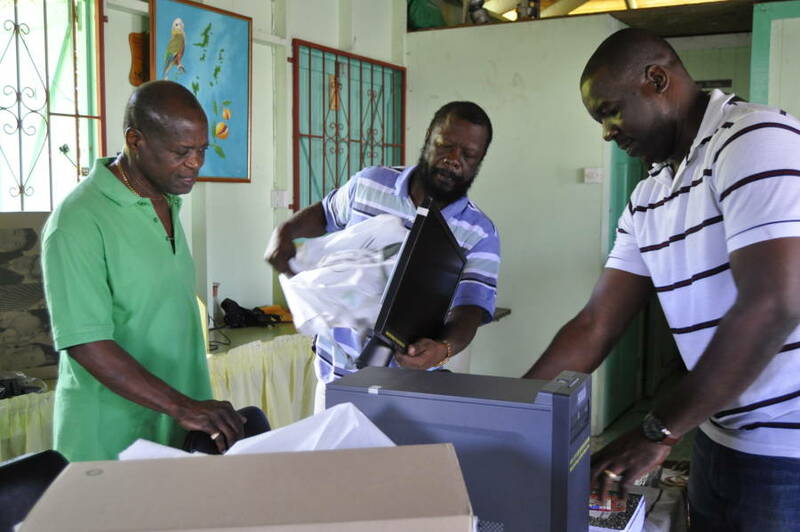 A brand new Lenovo desktop computer along with other educational materials and stationery were handed over at the New National Party Constituency Office for Carriacou and Petite Martinique to the Mt Royal Women’s Group on behalf of the community. Minister Nimrod, in his remarks at the handover, said that education equals a bright future for our young people. Therefore, he stated that his Government stands solid on its commitments to respond swiftly to requests like these. Nimrod further expressed gratitude to the Mt Royal community for their attendance at the meeting, their participation and for their continuous support over the years. Appreciating the generous contribution from Minister Nimrod, Assistant Secretary of the Mt Royal, Top-Hill and surrounding areas Women’s Group, Mrs Margaret Quashie, thanked the Minister for his quick response towards such an important need in the community. Additionally, Margaret said that the computer system will be properly cared for and be used for the intended purpose only. Also present at the hand over was Parliamentary Secretary of Carriacou and Petite Martinique Affairs, Senator the Hon. Norland Cox, who expressed joy for being part of the meeting and indicated that the community members have a clear indication as to the issues affecting them and suggestions on how they can be addressed. He also said that the Government cares very much about community development and congratulated the women’s organization for playing their role in caring for our people.